Drive 90 minutes east of Seattle along I-90, and you’re transported into another era. 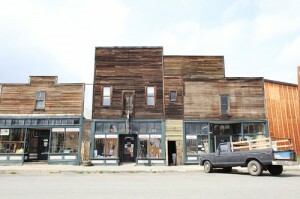 In Roslyn, Washington, two blocks of false-front wooden storefronts stand shakily across the street from one another, like cowboys frozen in a standoff since the early 1900s. Docile, fat dogs wander through town, begging for scraps from restaurants. Shacks – once houses – look like they’re ready to collapse into the earth’s embrace. Chill winds race down the mountain and wipe the smile off of your face. To live in Roslyn, Washington, you have to be a little tough. And that is awesome. But these few blocks also yield a wine store, a natural foods shop, coffee shops, well-maintained bed and breakfasts and an art gallery. To live here, you also have to be clever and flexible. 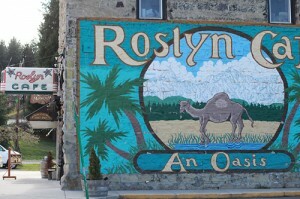 The name Roslyn won’t mean much to your kids, unless they’re huge fans of Northern Exposure (unlikely). 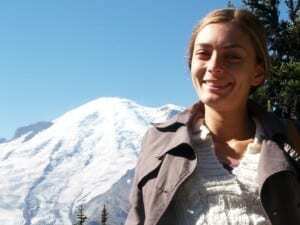 Roslyn, Washington, was the backdrop for the 90’s TV show; it stood in for Alaska’s Cicely. Roslyn is just a few miles from the popular Suncadia Resort (I’ll be writing a review of Suncadia soon), so it’s a nice excursion from the complex. Neighboring Cle Elum — a former railroad town –- seems a little more put together, with wide streets and a tidy main street. It feels more like a suburb of the wild west. It’s OK, but no Roslyn. Meet a miner. In the log-cabin-sized Roslyn Museum, where you’ll discover Roslyn’s history, from mining heyday to Hollywood set. There’s no attempt to whitewash ugliness in Roslyn’s past, so be sure to read the story of how African-Americans were brought in to break a coal miners’ strike for better working conditions. Cynically set against each other for a day’s wages, it ended as you might think. Appreciate modern plumbing. No honeybuckets back in the day, hon. You’ll appreciate your tiny bathroom after viewing the maroon outhouse, right outside the Roslyn Museum, near the coal car replica. Buy board games. 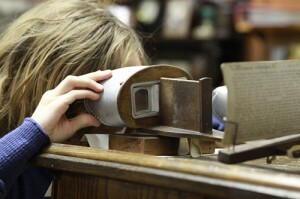 The enormous inventory at Cle Elum’s Interactive Toys offers hundreds of choices for bored kids. On a budget? Clear plastic bins brim with inexpensive finger toys, crayons and animals.In the store’s rear, there’s a ceramic-painting spot; pick your hues and paint a dog or cherub. Catch a flick. The vintage Roslyn Theatre is certainly appealing, with balcony seating and a dogs-allowed policy. But the tiny theater only shows one first-run movie. If that movie’s is rated anything over G, you probably won’t be taking the kids. Unless you’re a bad, bad parent like me (“cover your eyes!”). Drink up. Check out The Brick, the longest-operating saloon in Washington State. The family entrance and family side offers booth seating, a giant TV and a kids’ menu; the bar side provides pool tables, beer and a running water spittoon that streams beneath the barstools. In the old days, miners didn’t want to move their aching bones from their drinkin’ seats fer a spit. Make your condo neighbors jealous. Buy a 6-pack of maple-walnut or cinnamon-raisin rolls from Cle Elum Bakery (501 E 1st St., 509-674-2233). Stick ‘em in your Suncadia oven the next morning and let the smell waft through the building. 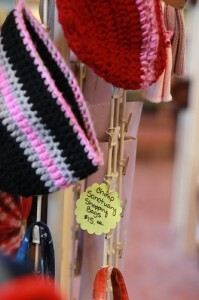 Get your granola gear. The Roslyn Natural Market offers organic produce, interesting foodie imports (we tried some olive-oil-soaked tortillas from Spain), and shopping bags benefiting the nearby Chimpanzee Sanctuary NW. Everything in here appears delicious. Except the hats. Feast on pizza. Village Pizza (105 W. Pennsylvania Ave., 509-649-2992) offers baskets of trivia cards on each table, thick-crust pizza with not-so-spiced tomato sauce and unusual toppings (we had cashew and spinach). You don’t eat on plates, but right off of the white-and-red-checked papers setting each table place. My family loved the restaurant; I thought it was so-so, and didn’t love the crust. Eat breakfast with a legend: Known as “Roslyn’s” on Northern Exposure, the hard-working, family-friendly Roslyn Café serves up the staples: burgers, sandwiches and kids’ meals. Try the parmesan-sprinkled fries. Irregular hours in the off-season, so call before arriving. Discover more: Drop into Cle Elum’s tiny box of a visitors bureau. Helpful staff will stuff your pockets with brochures and pamphlets and offer advice on kid-friendly trails, campsites and excursions. Stay overnight. If you’d like to sleep in a miner’s home, check out Roslyn Rooms.